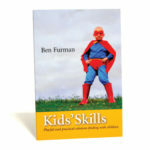 Miniature picture book to help children learn the skills of speaking and listening. Introducing Violet, a delightful character who springs from the pen of Fiona Mansfield. Violet knows all sorts of ways to use her voice to let people know how she is thinking and feeling. Violet’s voice can sound excited. Violet’s voice can sound shy. She has an inside voice, an outside voice and a danger voice. Her voice helps keep her safe and helps her make friends. 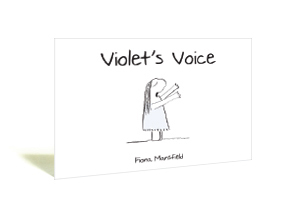 Marking our first foray into miniature picture book publishing, Violet’s Voice is a charming resource designed to invite children and adults to reflect on the different voices we each have and how we use them. 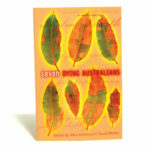 The simple text and gently humorous illustrations explore the skills of speaking, listening and responding to others. Violet’s Voice is an ideal resource for children experiencing difficulties with self-expression, including issues of anger management, lack of confidence or over-excitement. It’s also a resource that adults will love for its whimsy and for Violet’s sheer strength of personality!